Thank you to all buyers and underbidders, all clients old and new and friends and family that took part on sale day and the big lead up, that is a bullsale! Special thanks must also go to Aaron Seaman of Elders Young and James Croker and Andrew Wishart and Tim Woodham of Landmark. 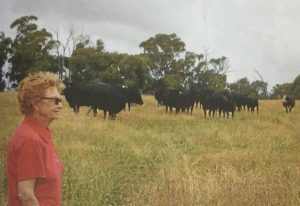 Milwillah Angus is part of the Caldwell family’s farming enterprise, “Milong”, situated west of Young on the south-western slopes of NSW, Australia. 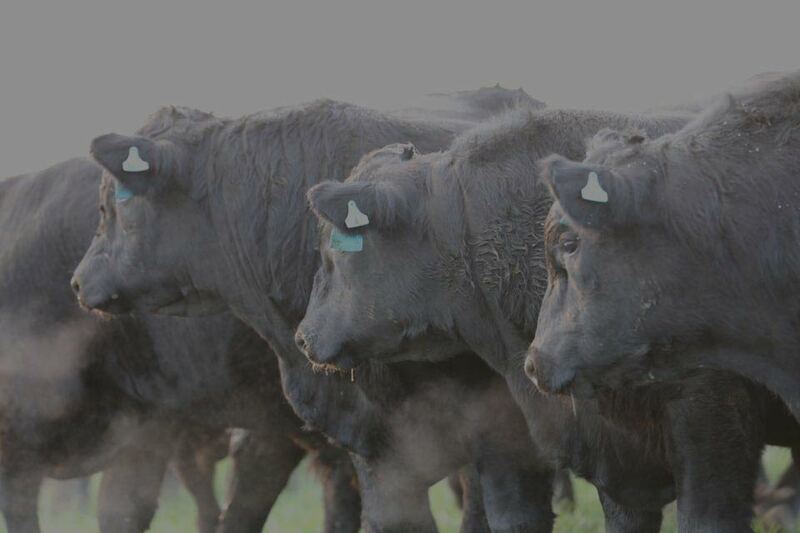 During the 80s and 90s, we originally started breeding Angus bulls to fulfil our own commercial bull requirements. 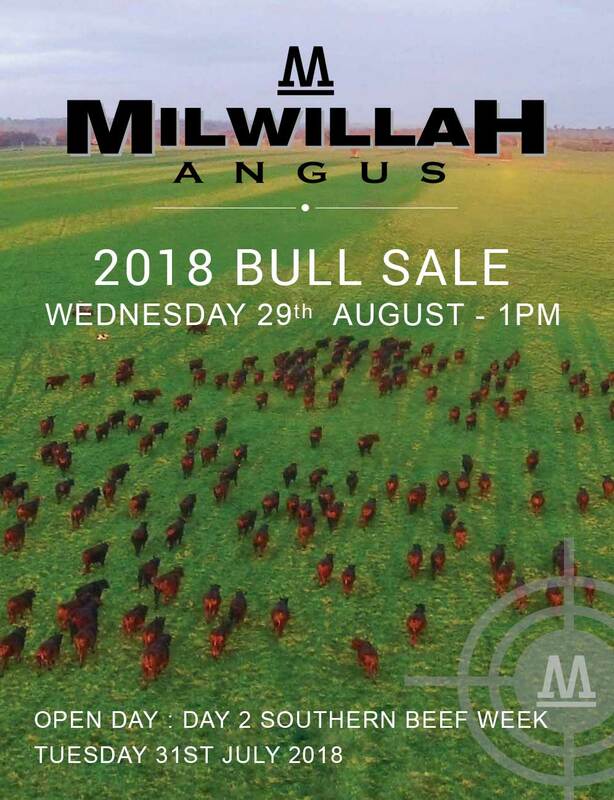 Over the years, with our own commercial focus instilled, and the consistent culling of undesirable traits and underperformers, the Milwillah herd has progressed to where it is today, selling 200 bulls annually, and a combined stud and commercial female herd of 2000 head. 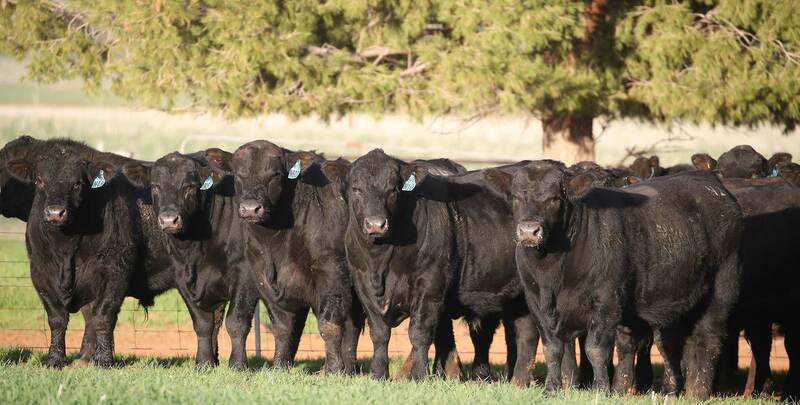 Our bulls are bred from an 80-year old gene pool, providing us with depth of pedigree and consistency of type. 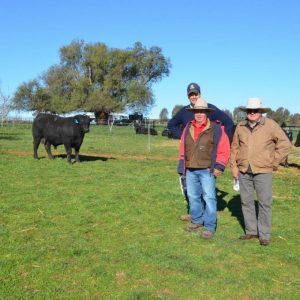 With a focus on growth, carcass quality and maternal attributes, we believe we are providing the Milwillah clientele with the best option to drive profitability in a commercial cattle operation. 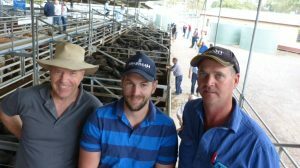 'Boys from Buchan' - Bryan, Paddy and Sam Hayden, Buchan Station. 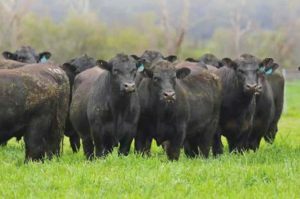 Milwillah Angus Bull Sale, NSW – 72/72 bulls sold to $22000 (Lot 5. 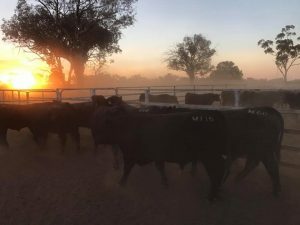 Milwillah Identity N44 to MA PJ CP & JF Attard, Moura QLD) & av. $7902.